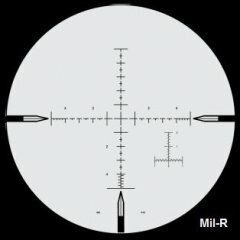 Arma 3 Ace sniping help. Hello everyone, after briefly learning how to snipe on Ace by watching videos i've got some questions that YouTube wasn't able to answer. First of all i'm using the Intervention along with the Vector 21 so i can sync data to the ATragMX without copying and pasting all the time, after that i get the temperature, the humidity and the barometric pressure from the Kestrel 4500 and copy-paste it on the ATragMX. I auto-set the crosswind and the headwind and get the average Wind SPD of around 30 seconds, and i paste the min on 1 on the Wind Speed on the Target tab of the ATragMX followed by the max value on 2 and then the wind direction, if the min and max are the same then i just input the same value on both fields. Finally i take the shot and re-adjust properly if i miss. I collect all the data standing up without being blocked by bushes/trees. Is there any way to collect the wind data more efficiently? Cause most of the time my shots are landing left or right of the enemy, and am i inputting the wind correctly inside ATragMX because almost all the people i've watched are doing it differently (most of my shots are on ~1400km). If i missed anything i will explain it, just ask for it.